What to do Weekends Party! Thank you all so much for your Participation in our party, we enjoy you all so much! You are all SO creative!! Invite your friends! Help us spread the word! Now, we can't wait to see what you have been up to this week!! Thank you for returning and sharing with us each week! We always like to let you know what we've been up to all week also. 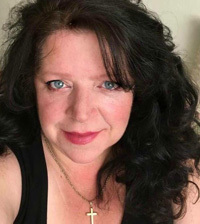 So, What has Linda been up to? She's made some Blueberry Marshmallows, if you can believe it! And then S'mores. Just a Couple of Guidelines that we'd truly appreciate you taking into consideration. We have prided ourselves on being a "no rules" type of party, and that will not change. We would appreciate it if, however, you would try to visit your neighbors. 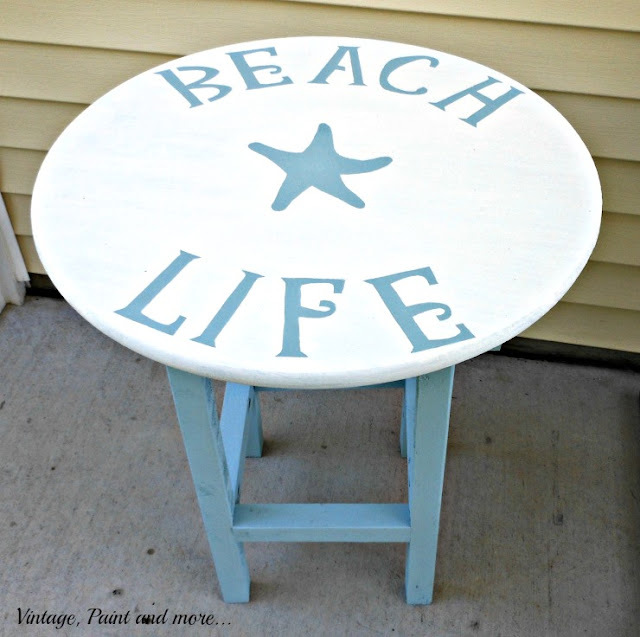 If you can pin some inspiration that would be greatly appreciated also. Now onto this weeks Features! It's always so difficult to keep it to our planned number. We'd love to feature you all! 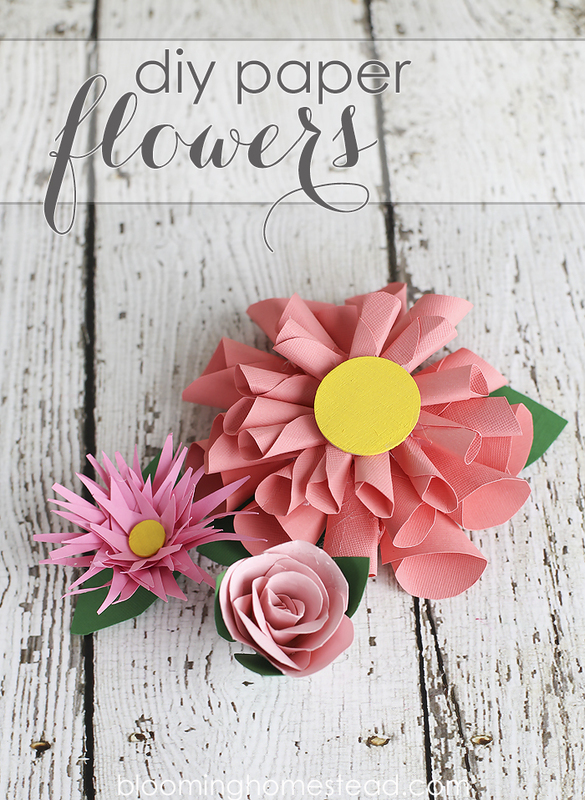 Blooming Homestead has some darling paper flowers. I just love the different sizes and shapes! 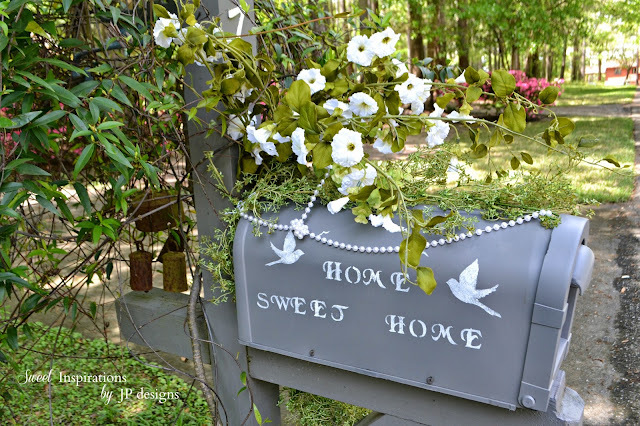 I loved how Sweet Inspirations dressed up and softened the look of her mailbox! 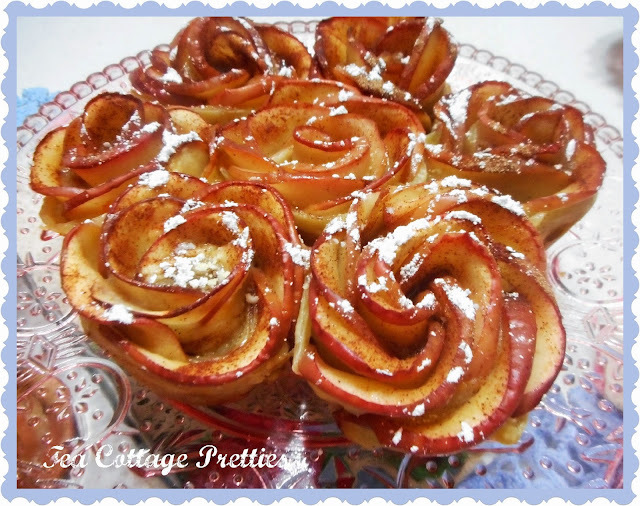 And, I can't wait to try my hand at Tea Cottage Pretties Apple Rose Dessert. Yum. Gorgeous. Crafty Journal has done it again! Check out this cute money gift for graduates! 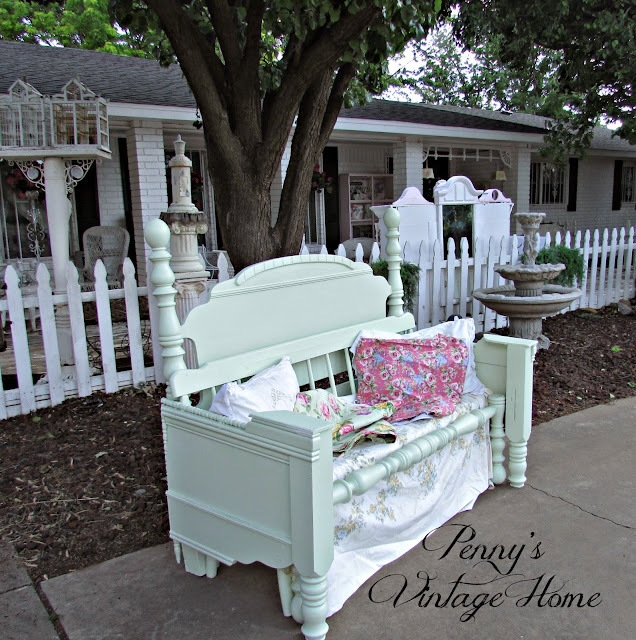 Penny's Treasures shows how to make a garden bench out of a bed headboard. Vintage Paint and More made a cute outdoor table. Didn't this come out cute? So, now, what's my Bonus Feature for the week?! Honestly, I just couldn't resist The Lou Lou Girls' Raspberry Cream Cheese Ice Cream Pie! I mean, really, just look at it! 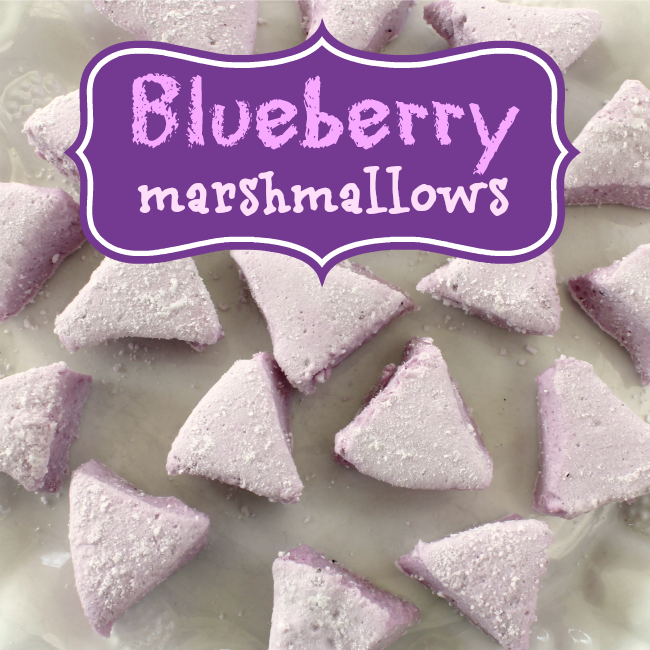 be sure to pop over to Crafts a la Mode and see if you were Linda's Bonus feature! If you were featured, please feel free to grab our party button! That's enough chatting, let's get right to it!! Woo-hoo! I made it first to the party this week and found that you featured my mailbox and I thank you so much! LOL! JP, I am so glad! I did leave you a comment, but can't wait to see what you have been up to this week! Thank you so much, Beverly!! It was all my pleasure! 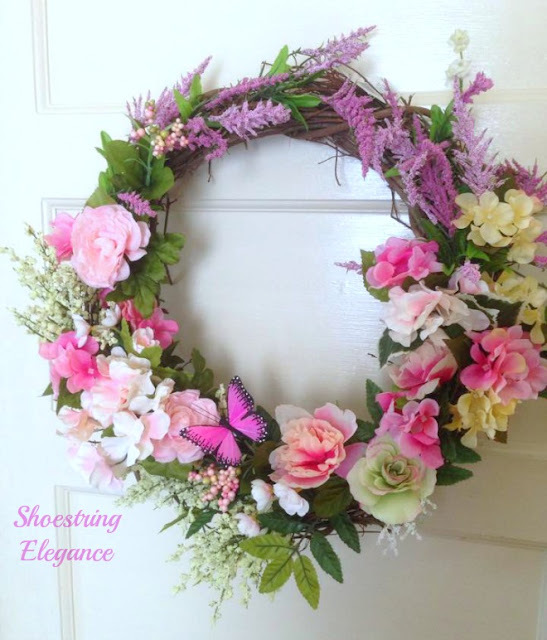 I'm so pleased to hear you like my little wreath! Great party.. as always! Have a wonderful Friday! Thank you, Heather! You, as well! Oh, Jonell, I am so truly glad. God bless your heart for coming over and leaving such a lovely comment. I know I feel the pounds piling on just looking at that pie! Lol. Thanks for the party! I hope you're having a lovely weekend. Thank you for hosting!! Love all these ideas and great features! My husband is a fun loving guy and he loves to celebrate his birthday at best New York city party bar. I must say it is fun always and our all friends enjoy this day. It is not much expensive though.